Christmas is coming and Minecraft does not do an exception. 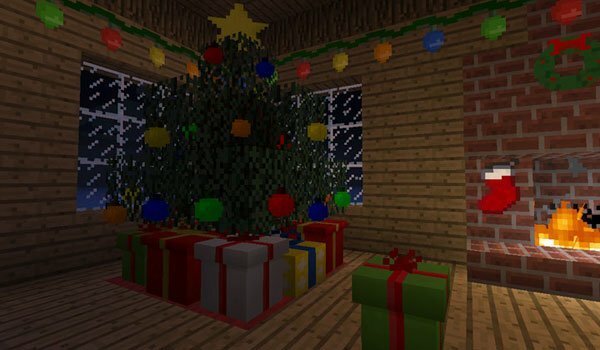 ChristmasCraft 1.6.4 is a mod that allows us to move Christmas times to our favorite game, Minecraft. With this mod you can develop new items that allow us to acclimate our homes or buildings with Christmas motifs. You can wrap almost any object of the game with wrapping paper, planting trees and decorate with Christmas ornaments, Christmas typical lights and eat the usual Christmas sweets. What’s more, this mod can change certain aspects of the generation of worlds, so we create a new world to see how it will snow in all biomes in game. Remember that if you’ve been good at Minecraft, you should place a Christmas stocking and wait if Santa Claus or one of his elves (in Minecraft elves will be Ender elves) gets in your house to leave some gifts. How to install ChristmasCraft Mod for Minecraft 1.6.4? Double-click the downloaded file to run the Forge installer Forge. 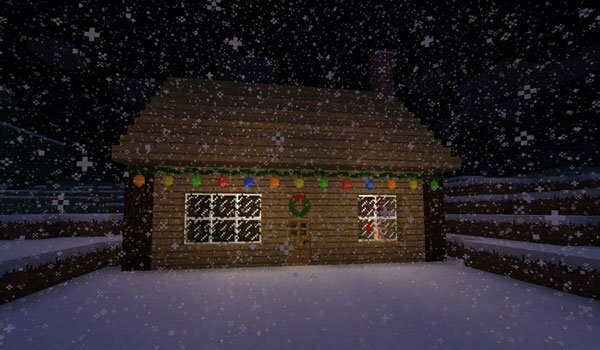 Enjoy Christmas in Minecraft too! It says 1.6.4 but it is actually 3.0.0.